An affirmation is a phrase that you say over and over again to make a declaration to yourself and the universe. When you say affirmations repeatedly, a couple of things happen. First, you are sending a message to your brain that stimulates a filter that lets in information that we need, and filters out information that we don’t. As you start focusing in on your affirmation, you will start to notice more ways to accomplish your goals. For example, if you focus your mind on generating more leads, you may notice more networking opportunities. If wealth is your goal, investment and business opportunities will be more noticeable to you. Our brain is understanding what matters to us based on our goals and desires. Having affirmations can help you dial in to your goals and help you achieve them. They also keep you in a positive mind state, which is very important in the network marketing industry. What we focus on, we create. What is your self-talk? You hear you more than anyone else, so be careful what you are saying to you. A positive mindset and great attitude will change your business – and your life! I prefer to say my affirmations in the morning so I can set the tone for my whole day. I like to make a hot cup of tea and take a moment to look over my list of my favorite affirmations. Not a bad way to start the day right? Below you will find my best affirmations for network marketing and finances. I know that the more successful I am, the more people I have helped and the more people I can help out in the world. One of the reasons why it is important to me to be successful is I am passionate about helping children in need all over the world. What you visualize you can do, will come about. The power of positive thinking has been around for a long time, because it works! I suggest downloading this list and sending it to your whole team. Click here to download! ● I am a contribution; my services are valuable. ● It is easy for me to save money; there is always enough. ● Money now comes to me in unexpected ways for the good of all concerned. ● People are happy to pay me. ● I am able to ask for what I want. ● I always have extra money. ● I now attract prosperous and competent people who want to do business with me. ● Every day I wake up to new wealth. ● I now receive assistance and cooperation from all those people necessary to achieve my desired results. ● All my past failures have given me a tremendous personal advantage. ● I get value from everything I do. ● The more I support prosperity in others, the more they contribute to my financial success. ● I can achieve great results efficiently and without struggle; I always find the easiest and most pleasurable way to get things done. ● Wealth comes to me easily. If you can stick to saying this once a day, you are on your way to manifesting success. P.S. I hope my tips on affirmations for your business are of value to you. 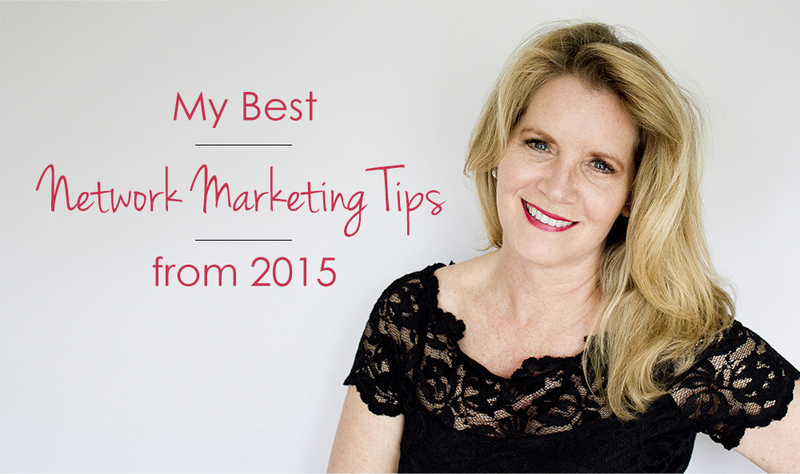 If you liked this blog post, I think you will love my blog post on My Best Network Tips from 2015! 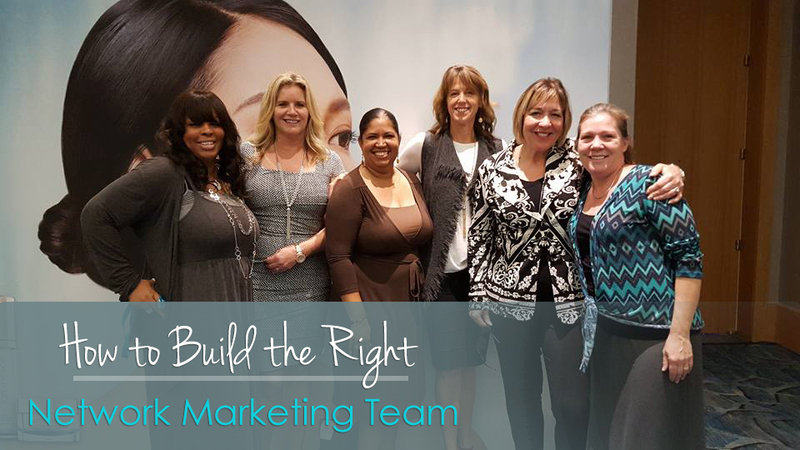 In the past year, my network marketing team has grown beyond my wildest dreams. I am working alongside some of my best friends and brightest stars in the industry. I focused my energy into finding the right people and investing my energy into those relationships. And it pays off! When you first start out, building a great network marketing team can be a challenge. However, having a productive and successful network marketing team is absolutely essential if you are going to grow your business. It can’t be all about you. This is teamwork at its best! Here are a few tips to train and launch a superstar network marketing team. Building a Rockstar Network Marketing Team! 1. Be sure to follow the leader and accept input from more experienced network marketers. If you are going to train a successful network marketing team you need to be trainable yourself! To find some resources, I would advise that you first find leaders in your own business. Next, carefully watch what they are doing and follow in their footsteps. If you ask someone else for advice, listen to them and let them do more of the talking! You may be thinking “No duh!” but often times I find that people get in their own way by not listening. Ask great questions and then stop talking. Listen. Remember: those before you have blazed the way for success and it may be wise to listen to them. 2. Keep sponsoring! Do not get stuck in a “management mode” where you train a few people to sponsor others and then stop sponsoring distributors or reps yourself. Your team will do what you do. The good, the bad and the ugly! You must continue to sponsor others so you can serve as a model for your team. If you are going to be successful you must ALWAYS bring new people in! Be sure to continually engage with new people, meet new prospects and look for more people to add on to the team. You never know what network marketing gem may be waiting around the corner! And talking to new people is fun! It will keep the business interesting and engaging for you. 3. Remember to always make yourself available as a resource to your network marketing team. To train someone effectively, as a sponsor, you must make sure to get him or her started right. Your job is to educate people about what they need to know to get their own business running efficiently. The last thing you want is for your MLM to be dependent on you for everything. If that happens, then you won’t get the duplication and freedom you want. Remember your goal is to train them to become independent of you as quickly as possible. 4. Never abandon someone! It is a common mistake when training others to be a MLM to get him or her started and then, once trained, leave them alone to figure the rest out while you move on to the next person. Be sure to sit down with them and make sure they have all the tools to properly get started. Then, even after they are trained, continue to be a resource for them. 5. Watch who you work with when you are building your team. Do not waste resources working with someone who just is not putting forward an effort to be the best network marketer they can be. If you continue to spend time with people who are not engaged, that will only create struggle and a serious lack of fun. If you want to create a successful business, then work with people who are motivated to be successful too and are actually doing the activities. It’s great to give people “homework” and if they do that, then move them to the next phase. If they don’t, then don’t want it for them more than they want it for themselves. 6. Be sure to set reasonable expectations. Do not promise them the world if you are trying to train someone to be successful. Never say something like: “You are going to be successful beyond your wildest dreams and make a lot of money very quickly.” Do not promise them that it will be easy – network marketing is never easy, it requires consistent effort and time. 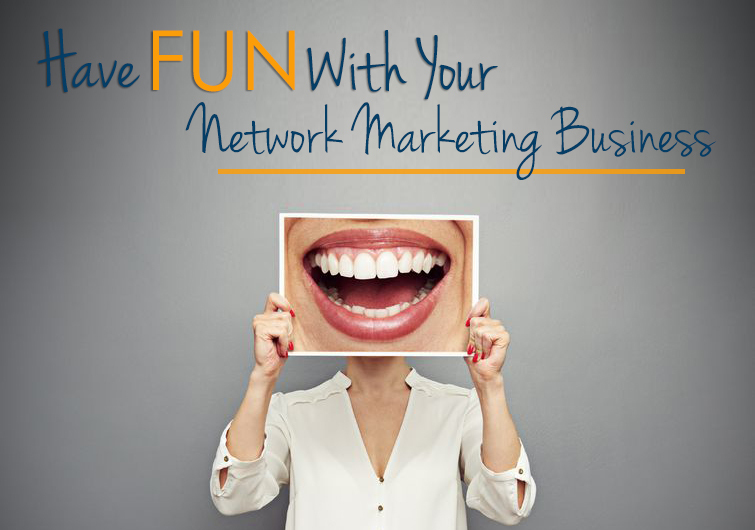 However, there is also great potential in the network-marketing model. I was in corporate America for over 20 years and I never saw anything like our business model potential there! Just be sure to represent the business accurately so that you can train your teammate to be in it for the long haul. IT IS possible to become successful and build a fortune in this industry. It just requires dedication, drive, ambition, time and some hard work. There will be ups and downs, good times and bad, but if you stick with it and keep these tips in mind, you can build a powerful and successful network marketing team. See you at the top! P.S. I hope my tips on building your network marketing team are of value to you. If you liked this blog post, I think you will love my blog post on How to Deal With Negative People! You also may enjoy this additional training about Success Secrets From Top Team Builders from Ray Higdon. It is the end of the year and when we start thinking about our next year goals, resolutions and hopefully dreams too! Sometimes we start to think about who else do we need on our team. 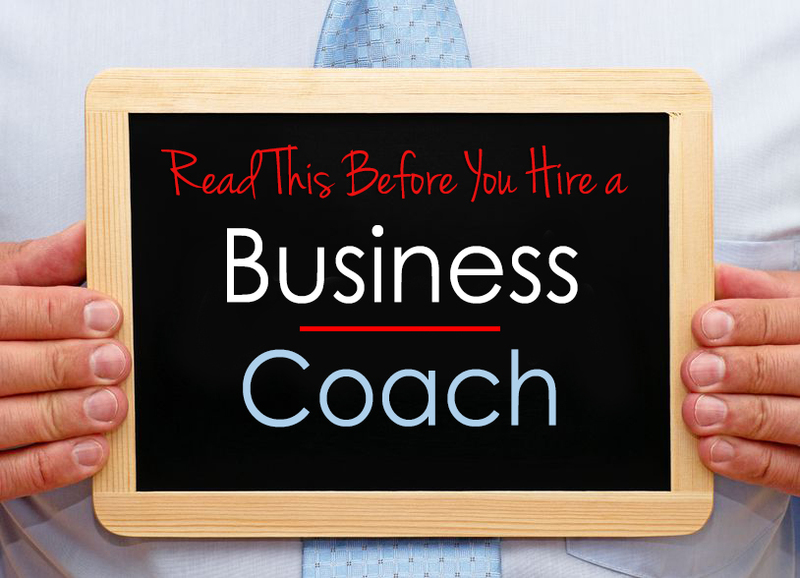 Here is the question of the day: Do you need to hire a business coach? Or do you need to take advantage of the mentorship and leadership already available for you in your home based business? A great coach CAN be a great way to boost your network marketing skills and take your business to the next level. They may help you recruit more reps, get more leads or help your team to even become top earners for the company. However, a business coach is not for every situation or everyone. Over the past few years, I have worked with a couple of extremely talented people that taught me things that have literally translated into many thousands of dollars. Not to mention, making my life and my team’s lives easier and more productive. I have also always created great relationships with the leaders in my company, my upline, my sponsor and the corporate executive team. All of these relationships will lead you to more success and create value in your life. And more friends too! Working with a coach has been one of the biggest learning tools I could ask for. You may be an avid reader and resourceful, but being able to ask questions and get advice is so valuable in this industry. Think of coaching as an investment to your business and your life. What I love about our business is you don’t always have to “hire” this. Our business has a built in coaching system so make sure you aren’t spending money you don’t need to but if you find that you do need to or want to, then by all means take that leap. We can always afford to learn more! Think about how much more money you will be able to make because of what you learned! 1. If you don’t know what you want, then you should spend some time thinking about it before you hire a coach. It may be smart to make a list of goals you would like them to help you with. If you don’t have goals, that is a recipe for failure. Never hire anyone if you do not have goals! Otherwise you may just become one of those clients that just complain about not getting the results they expected. Having a list will give both of you a clear understanding of what you are working towards. I would also suggest including a time frame so that you know when these goals will be achieved. 2. Think about what you expect to get from a business coach. Perhaps what you really need is a therapist? LOL. That was a joke… sort of….A business coach is there to help your business, not work through your personal issues. Making the move into full time network marketing can be a hard choice for some to make. Many people haven’t started their own business and there is a lot of responsibility – and a lot of reward! Your business coach is there to guide you on how to build your team. It isn’t their responsibility to guide you through your life choices. Before you decide to hire a business coach, you should make sure that the work you are currently doing is something you would want to do a year from now or even five years from now. Let your business coach accentuate the work you are already doing. 3. Are you happy with the results you are getting, but know that they could be better? That is the BEST time to hire a business coach! A coach should not be hired to motivate you. Motivation comes from within and if you don’t feel motivated, odds are good it is because you haven’t really defined your goals and dreams. A coach should be hired to improve your work performance. They may do this by asking the right questions to help you learn ways to boost your performance and answer your questions to help you more quickly learn what you want to learn. Also think about their talents. You will get the most out of their expertise by learning what you can on your own and really focusing in on their best talents. If they are having to school you in network marketing 101, you aren’t getting to the good stuff! If you feel like you do need more training and whether you can afford a coach right now or not….READ! I cannot stress this enough. I am an avid reader and their is a plethora of knowledge online right at your fingertips. Read a lot and read often. There is so much available online now. I love watching youtube videos several times a week both for inspiration and for helping me to think about a new way to do something in our business. I am not saying you need a coach or should hire a coach. That will depend on where you are, what skillsets you bring to the table, your finances and your network marketing team. Some people can get everything they need within their own team and company. Others need more. Just wanted to give you my 2 cents on what to consider. Thanks so much for reading! Always remember to reach up! Hiring a business coach can be a great investment if it is the right time for you. Working with a great coach can vastly improve your business and help you make the income you have always dreamed. Here is to an amazing 2016! P.S. I hope my tips on hiring a coach are of value to you. If you liked this blog post, I think you will love my blog post on 5 Tips For Actually Working From Home!